Cottenham Village College is today celebrating the findings of an external review by national education charity, Challenge Partners. 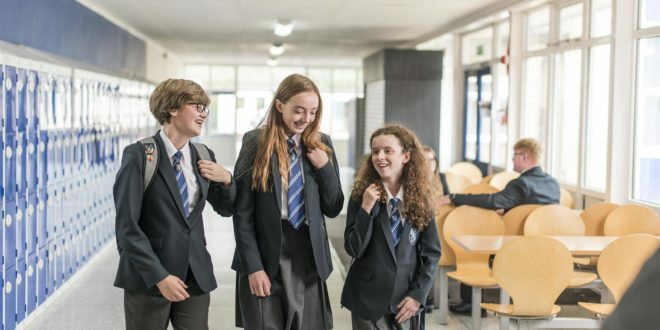 The professionally-led peer review rated the secondary school as “Outstanding” in all categories: school improvement; pupils’ outcomes; and the quality of teaching, learning and assessment. Challenge Partners is a charity that works with over 400 schools nationally, carrying out annual Quality Assurance reviews of schools focusing on teaching and learning. Cottenham Village College is part of the Astrea Academy Trust, a family of 25 schools in Cambridgeshire and South Yorkshire. In the report, Challenge Partners point to the pride that students have in their school, and that they know they matter and will have strong teaching and unstinting support. One student is quoted as saying “teachers make us a priority”. Individual students and teachers are able to flourish as a result of a clear vision, and embedded systems and structures. Robust systems identify students in need of support and track the progress of individuals and key groups. Relationships between students and their attitudes to learning are excellent. Students recognise and appreciate that teachers know them well as individuals, including their strengths and where they need more support. Students make excellent progress at Cottenham Village College from their starting points. At the end of Key Stage 4, students made well above average progress in 2018 and above average progress in 2017. The progress of disadvantaged students was above that achieved by other disadvantaged students nationally and broadly in line with that found nationally for all students. Whilst the gap between the progress of disadvantaged students and all students nationally has closed, leaders are determined to reduce the in-school gap further and have cohesive plans in place to do this. Students with SEND receive personalised support and, as a result, make strong progress across the curriculum. In 2018, students with SEND made above average progress overall at GCSE. The report also makes clear that Helen Cassady as Principal has been the “key driver” in CVC’s aspirational journey, supported by a strong and highly skilled team.